A man from Eden Prairie, Minnesota, has lost custody of his daughter and faces a felony charge of malicious punishment of a child after admitting to striking the girl several times with a belt and a tree branch earlier this month. Craig Douglas Underwood II, 34, told the authorities when they showed up at his home to conduct a welfare check that he had “every right to whoop” the girl. According to WCCO-TV, Underwood’s daughter used her school-issued iPad to reach out to Hennepin County Child Protection on Nov. 15 to report the alleged abuse. She told officials the beating stemmed from an issue at school. After investigating the incident, the authorities arrested Underwood and took the child to be treated at a hospital for visible injuries to her legs. She was reportedly also struck on her back and buttocks. The girl is now in foster care, but Underwood and his wife have retained custody of their four other children, who told police their father had also hit them with a belt or with his bare hands. If convicted, Underwood faces up to a year in prison and the possibility of being fined up to $3,000. 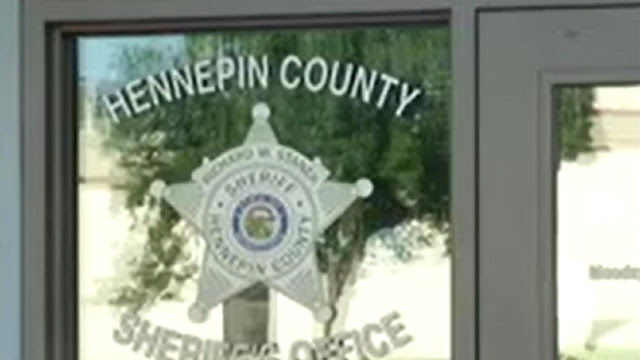 Last year, Hennepin County was sued along with a list of other Minnesota public employees and entities for failing to protect the rights of children, Alpha News reported. The institutions’ effectiveness was called into question in part because of a disproportionately high number of children being returned to foster care within a year of being reunited with their families. In 2016, 18.3 percent of foster kids in Minnesota were sent back into care in Minnesota, compared to a federal benchmark of 8.3 percent. The class action lawsuit did not seek monetary damages, but instead called for a reform of the child protective services programs.